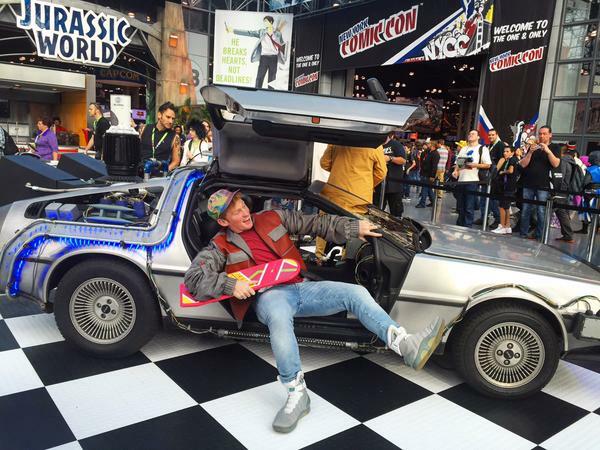 Pepsi Perfect, soon to be released, was sampled by a few BTTF fans, dressed as Marty McFly. 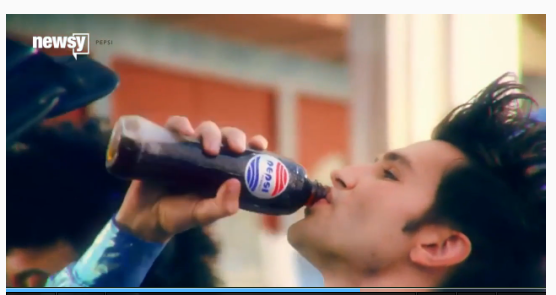 Pepsi has launched a limited edition bottle with a new promotion. Pepsi isn’t launching a new brand, it is releasing a new limited edition bottle this Oct. 21 to let fans have their own Pepsi Perfect bottle, as seen in the Movie where the date is same as Oct 21, 2015. For those keen to sample the drink earlier, can get their hands on a free sample by dressing up as Marty McFly and visiting the Pepsi Perfect booth after 11 a.m. and up until 12 p.m. from Friday through Sunday (October 9 – October 11, 2015). The first 200 people to show up each day will be rewarded with their very own Pepsi Perfect. Pepsi Canada Fans can get more details on Pepsi Canada’s Twitter account. The bottle is a limited edition collectible — Pepsi is planning on only making a run of 6,500 bottles — and will be sold only while supplies last. 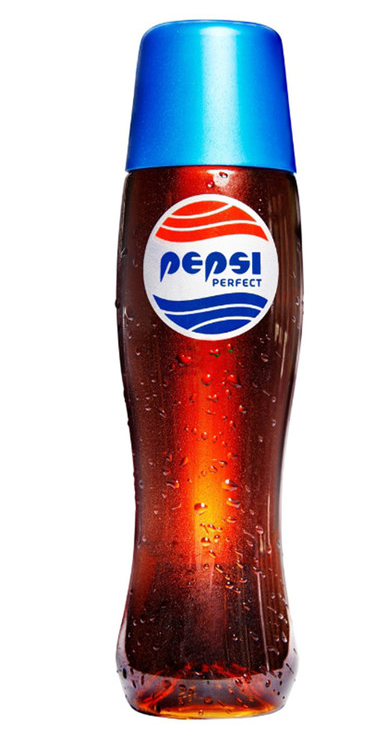 The Limited edition Pepsi perfect will be available for USD 20.15. 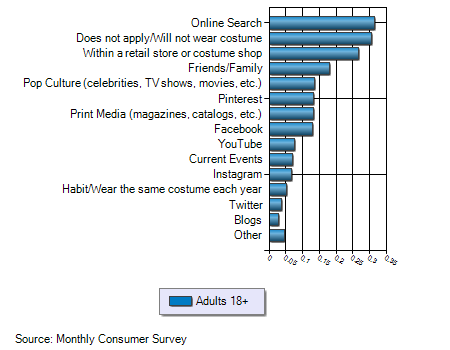 Posted in Advertising, Consumer Engagement, Digital Strategy, Social Media. Tagged Campaign, Facebook, Instagram, Marketing, Pepsi, Pinterest, Twitter, YouTube. An App Engagement strategy is critical for your business as research shows that US consumers time on apps makes for 90 percent of the time spent on their mobile devices, which has grown by 35 percent in Q2 2015, over Q2 2014. Facebook accounts for 19 percent of the time spent on apps, where social media and messaging apps make for a third of the time spent on Apps. Key trends from Flurry Analytics report shared by BI, shows that the mobile audience are loyal to a few apps. US consumers averaged three hours and 40 minutes on their mobile devices per day in Q2 2015, which represents growth of 35 percent from the same quarter in 2014, when US consumers averaged two hours and 42 minutes on their mobile devices. Despite the growth of overall minutes spent on mobile, the time consumers spent on mobile browsers continued its descent. While US consumers spent 20 percent of their mobile time on browsers in Q1 2013, that share dropped to 14 percent in Q2 2014, and just 10 percent in the most recent quarter. 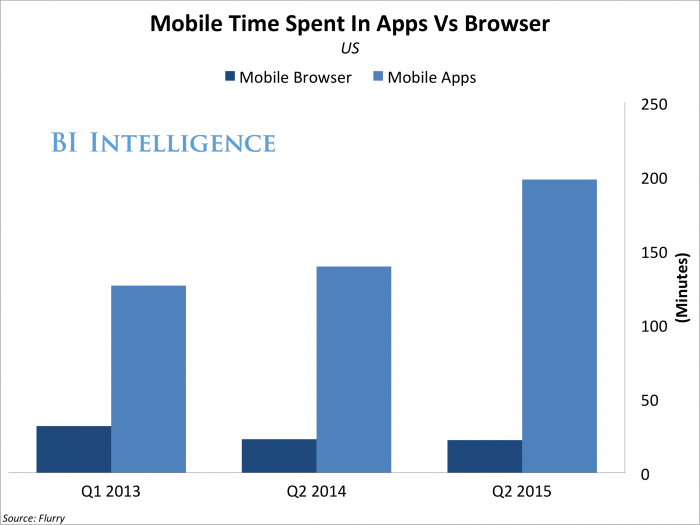 For every three hours and 18 minutes a US consumer spends using apps, 22 minutes will be spent in a mobile browser. 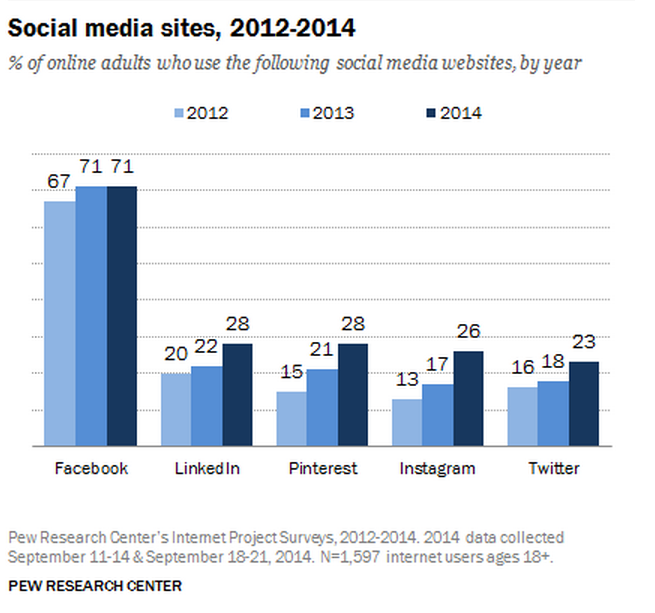 Social and messaging apps are catalyzing this trend more than other app categories. Time spent on this app category grew 51 percent in Q2 2015, from 45 minutes a day in Q2 2014 to one hour and eight minutes a day in the most recent quarter. This means that one-third of all mobile time spent in Q2 was spent on social and messaging apps. Posted in Apps, Digital Strategy, Insights, Social Media. Tagged Apps, Campaign, Digital Trends, Facebook, Nielsen, Pinterest, Social Media, Twitter.